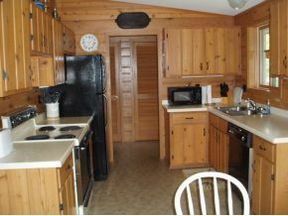 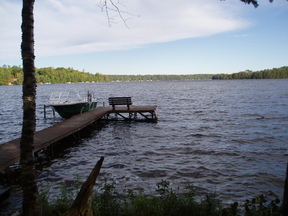 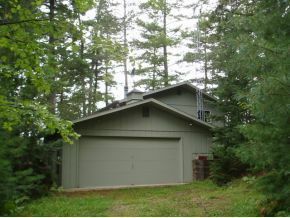 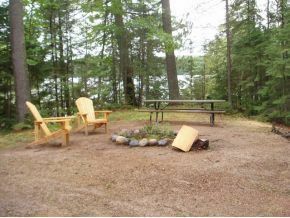 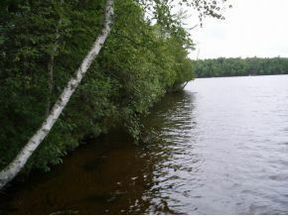 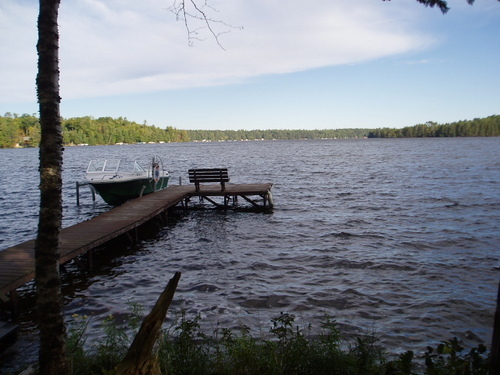 Premier Long Lake Home Here is the real Northwoods home on a private land parcel on one of the chain's most sought-after lakes! 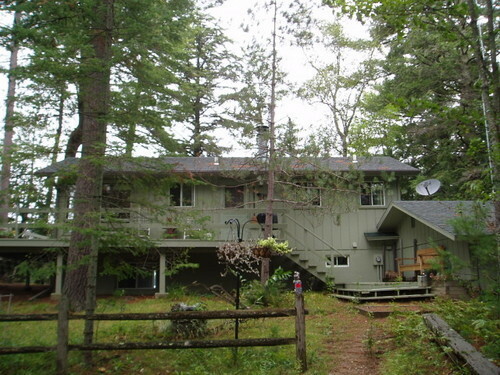 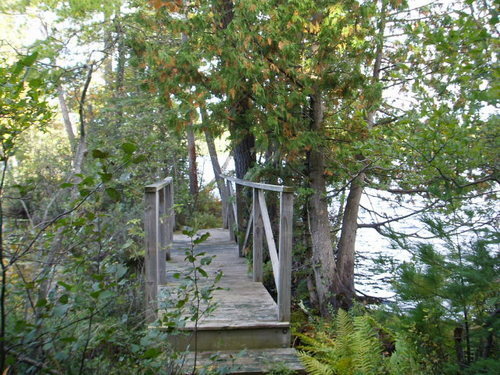 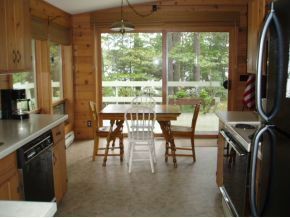 The property features large Pines, level and sandy swimming frontage with sunset views, a quiet bay for a neighbor, 5 acres of wild timbered land immediately across the paved access road and your own island attached by wood walking bridge! 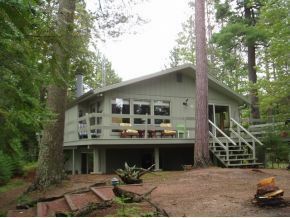 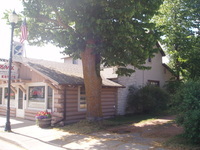 Most of the interior is rich Western Cedar planking with vaulted ceilings and walls of windows toward the lake! 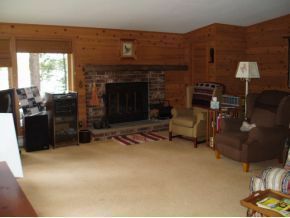 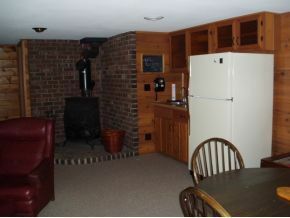 Each floor has a wood burning fireplace! 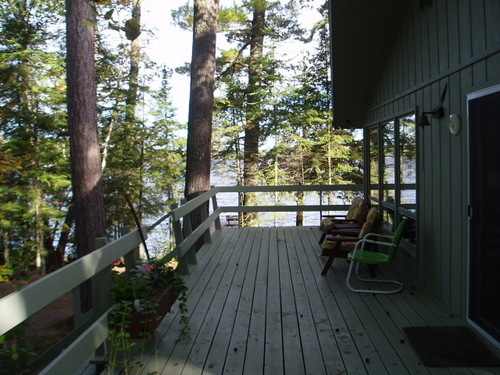 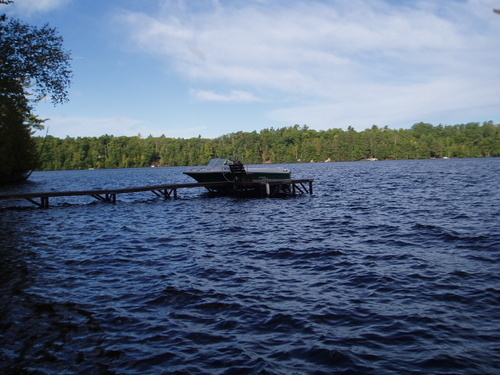 A sundeck spans 3 sides of the home and there is an attached garage plus a lakeside shed.